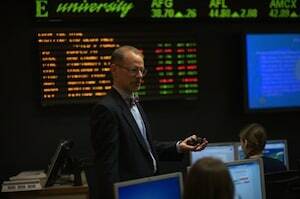 Cedarville University launches new MBA program, offered fully online. Cedarville University is launching a Master of Business Administration (MBA) program that will begin in August 2013. The new program will be offered completely online and provides a unique opportunity for professionals. The MBA program adds to the growing portfolio of graduate programs at the University, which also include the Doctor of Pharmacy, Master of Science in Nursing and Master of Education. “Rich with what makes Cedarville University distinctive, this program offers students the opportunity to obtain their MBA from anywhere in the country – even the world – and to connect with faculty in a personal way, much like they could on campus,” Reno said.